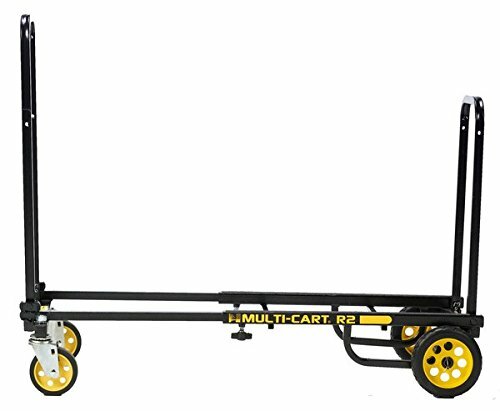 Don't let it's compact size fool you, the RocknRoller Multi-Cart R2RT expands from 26" - 39" with a 350 lb weight capacity. 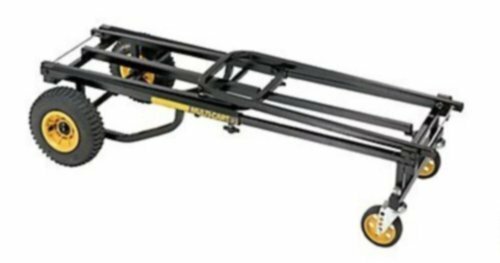 Due to it's smaller footprint it makes a great travel cart and can even fit in the overhead bin on an airplane (26" x 14" x 6.5"). 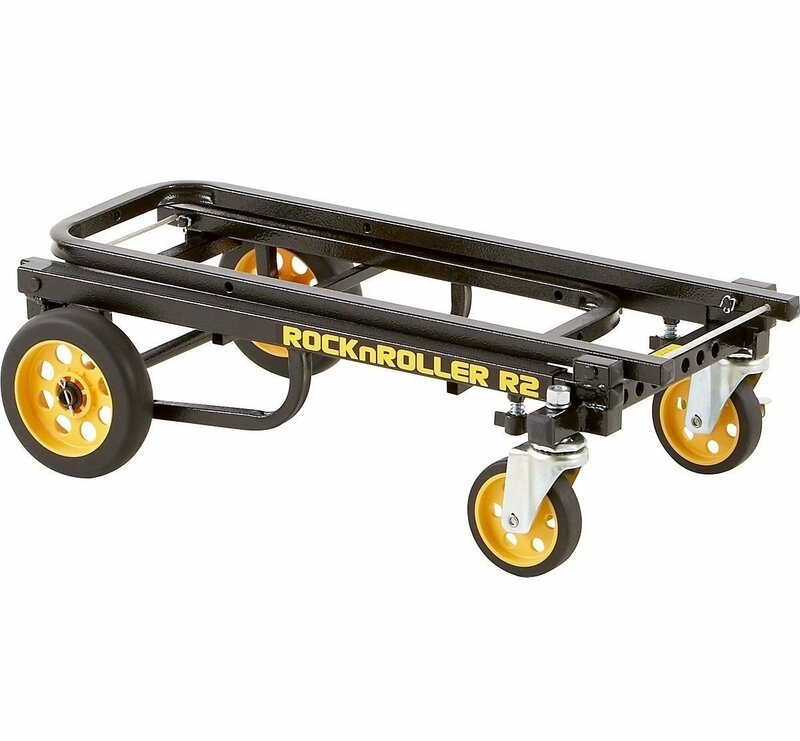 The R2RT is outfitted with rugged, foam-filled no-flat 6" rear wheels and 4" front swivel casters that will allow you to move massive amounts of gear quickly and easily. The R-Trac tires ride smoothly with excellent traction, similar to pneumatic tires, but without the hassle of upkeep or repair. 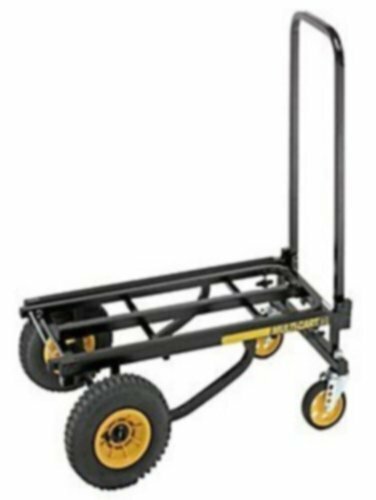 The patented 8-in-1 cart can transform easily to adjust to various load sizes, allowing you to move large amounts of gear in no time at all. 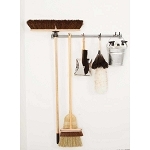 The textured powder coated steel is durable and also reduces slippage during transport. 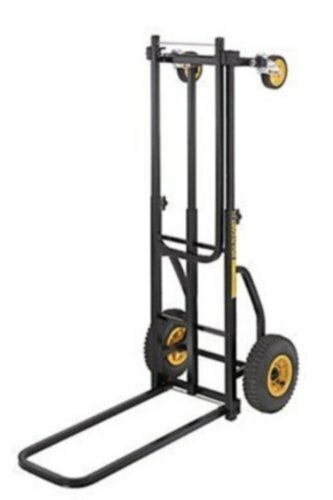 8 modes include storage transport, short furniture dolly, short platform cart, short hi-stacker, long hi-stacker, long platform cart, long furniture dolly, wheel hand truck. 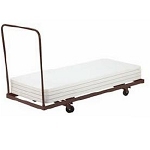 Q: Would this cart be appropriate for a stack of upholstered seat folding chairs? How many would it hold? Thank you. 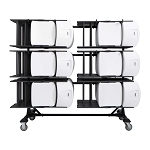 A: It would probably work, as the are multipurpose, but I would recommend getting a chair cart such as the 84chaircaddy for transporting chairs. 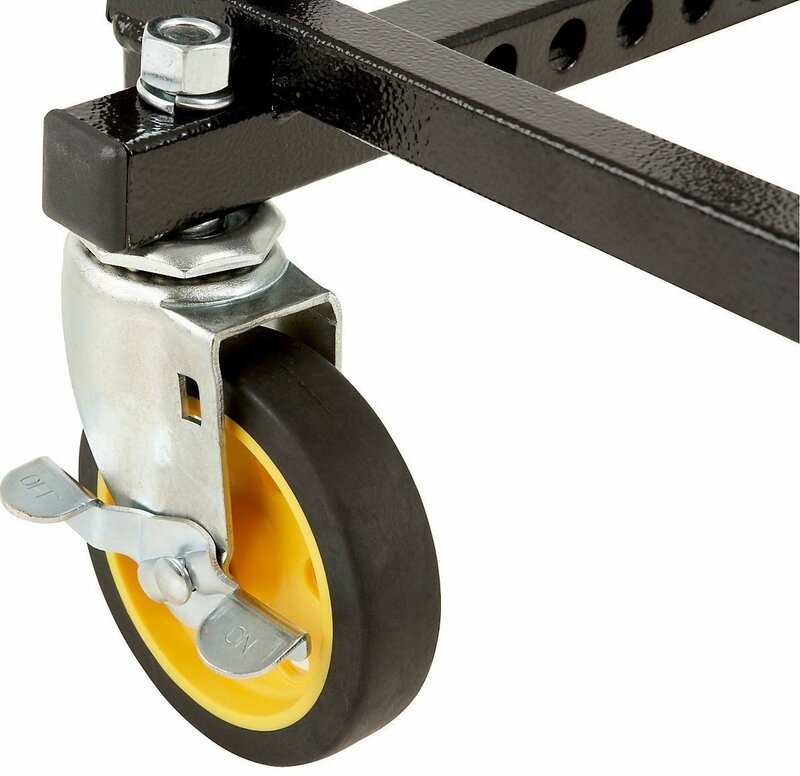 Q: Would I be able to use this to carry drums? A: This should be able to carry them as long as they are large enough to not fall through the middle. 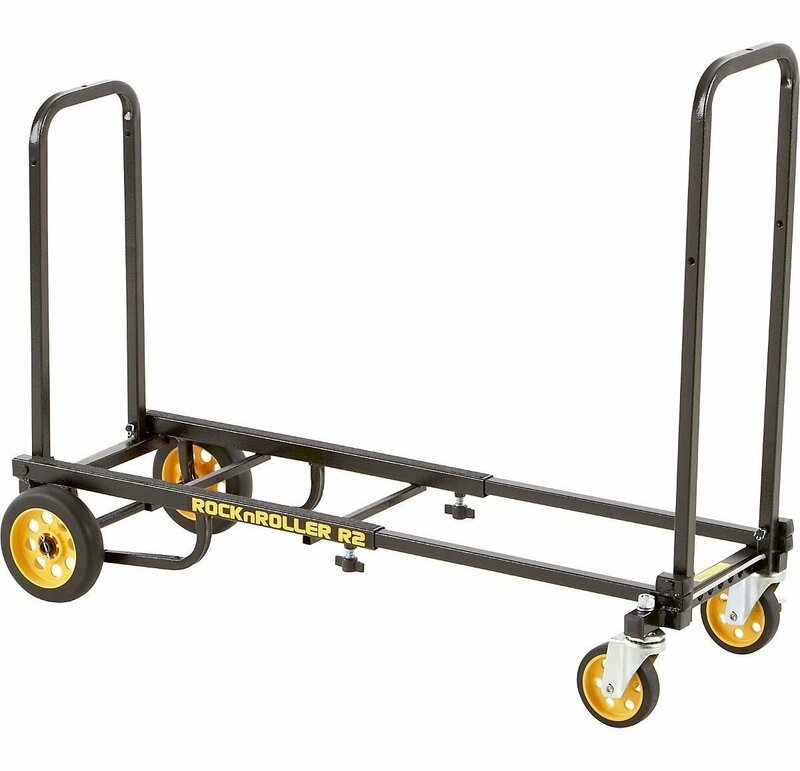 Q: What's the weight capacity for this cart? 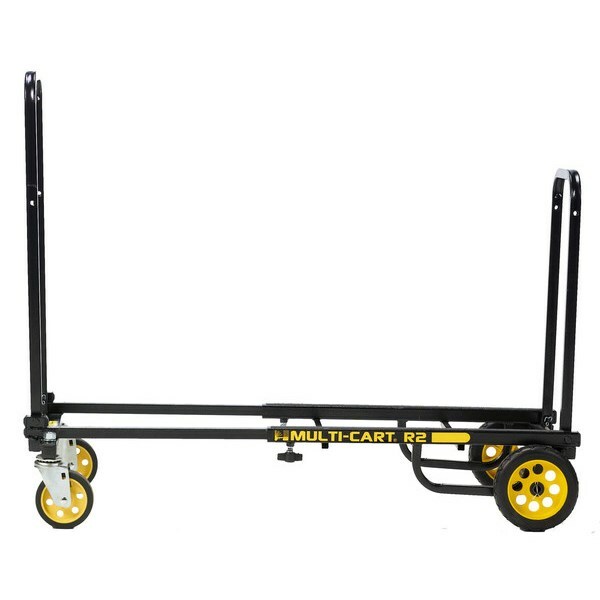 A: This Multi Cart has a weight capacity of 350 lbs. 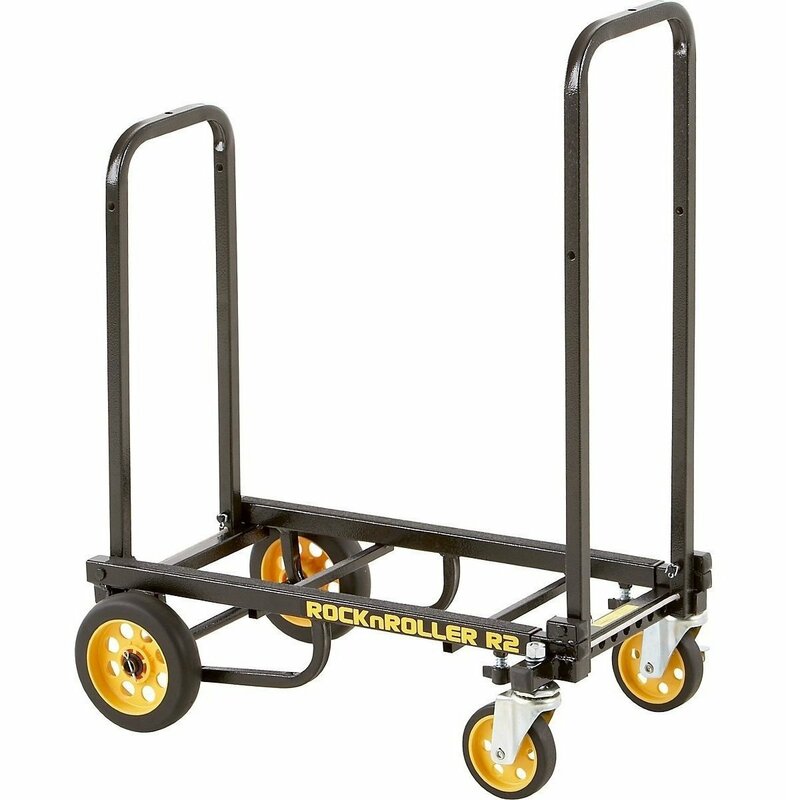 Fast Shipping: Orders for the R2RT Rock N Roller MultiCart generally leave the warehouse the next business day. Dimensions: 29" x 16" x 6"